RioHolidays is a rental agency for vacation rentals of luxury accommodations in Rio de Janeiro. This site and the services that are offered through it were developed by two Europeans, who have traveled around the globe for many years and know the difficulties tourists can run into in foreign countries. The language barrier, the unknown streets, the unfamiliar customs and attitudes, the foreign currency—all of this can come between you and a perfect vacation. This is why we set out not only to offer apartments in Rio de Janeiro, in the upscale beachfront areas of Ipanema, Copacabana and Leblon, but also to provide above-and-beyond services that take the worry out of your holidays. We offer already apartments and ocean front penthouses for the upcoming Fifa World Cup Brazil 2014. 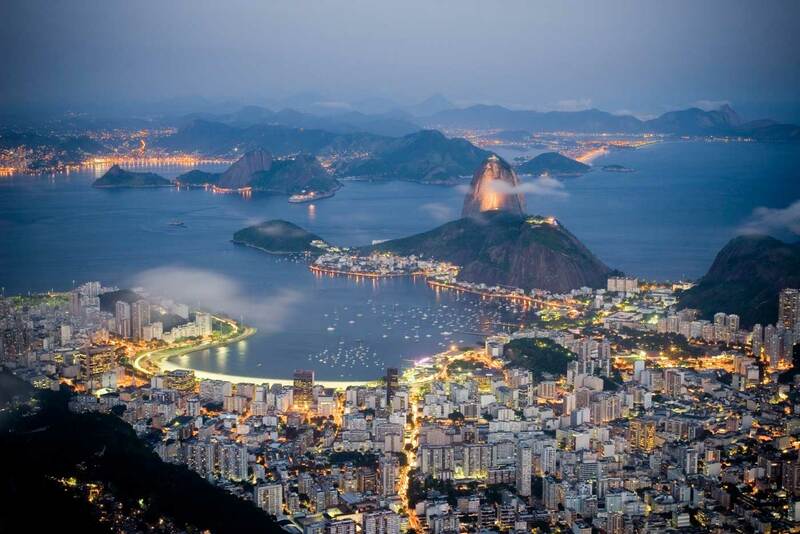 Book your accommodation in Rio de Janeiro for the World Cup 2014 with Rioholidays. Booking your accommodation in Rio de Janeiro through us, you will stay close to the beach in the best apartments in Ipanema, Copacabana and Leblon – the most exclusive residential areas in the city. Staying in an apartment in Rio de Janeiro, rather than a hotel, will offer you more space, comfort and privacy, allowing you to experience more of the Rio de Janeiro spirit. Our Rio de Janeiro apartments are equipped for all kind of travelers. Besides the luxury Penthouses and apartments in Rio de Janeiro we also provide all the assistance you might need during your stay in our luxury flats in Rio de Janeiro, including travel and concierge services. 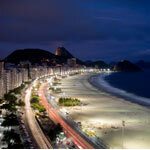 Booking apartments in Rio de Janeiro with us is quick and easy. Whether you need to procure last-minute carnaval tickets, book a table at a hot restaurant, arrange a sightseeing tour, or change your flight, our multilingual staff is here to help and contribute to your perfect vacation in Rio de Janeiro. 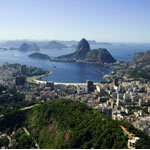 Booking apartments in Rio de Janeiro with us is quick and easy. Just send us an email with your personal preferences for the size of the luxury flat or for the type of accommodation in Rio de Janeiro you need. Our team will send you a list of apartments in Ipanema, Copacabana or Leblon along with photographs, detailed descriptions and prices, so you can choose the best Rio de Janeiro accommodation option for your stay. 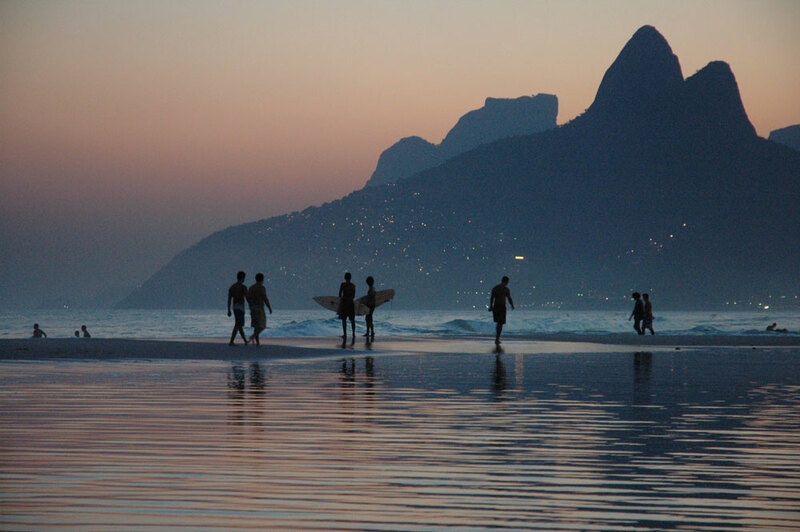 To vacation in Rio de Janeiro is to discover a city that, simply put, is like no other place on earth. Sultry and seductive, it is a place whose warm tropical air is matched by the famous warmth of its people. Staying in one of our penthouses or apartments in Rio de Janeiro, will bring you closer to the Carioca spirit. The city is set in a breathtaking natural location. Formed around the picturesque Guanabara Bay, it is framed by mountains and forests on one side and white sand beaches on the other—110 miles of beaches in all. The most famous of these is the 4.5-kilometer-long (3 miles), crescent-shaped Copacabana Beach, whose name today is synonymous with Latin vitality and passion. 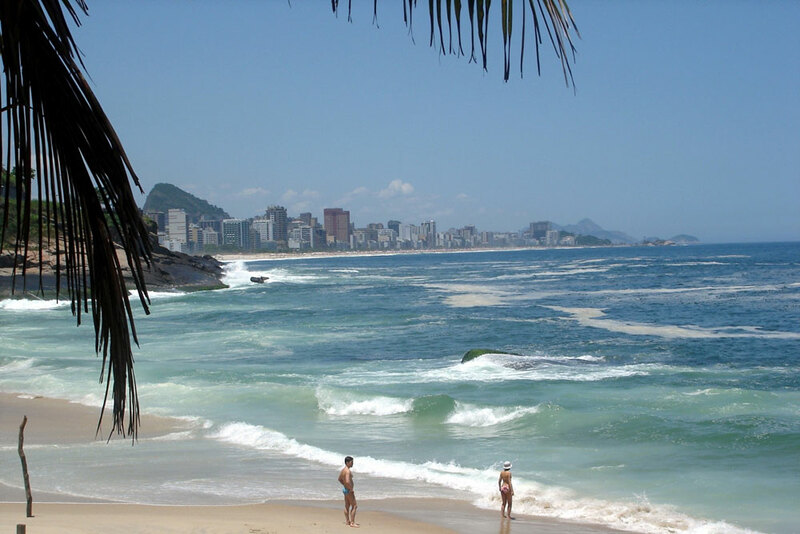 From there, the beach continues through the storied Ipanema area and on to Leblon, São Conrado and Barra de Tijuca. All of our luxury apartments in Rio de Janeiro are located either on the beachfront or within a few short blocks of it. Just cross the street or take a short stroll and you’ll discover why Rio’s beaches are considered among the most beautiful in the world. Our penthouses and luxury flats are designed to take full advantage of the city’s natural beauty. The vast majority feature ample outdoor space, barbecue equipment, and in many cases private pools. And all of our luxury penthouses in Rio de Janeiro offer spectacular views of the ocean or mountains, or, in many cases, both. Located in the best areas and mostly on high floors, our apartments in Ipanema and penthouses in Copacabana offer an extraordinary opportunity to take in this rare mixture of high hills and wide beaches. 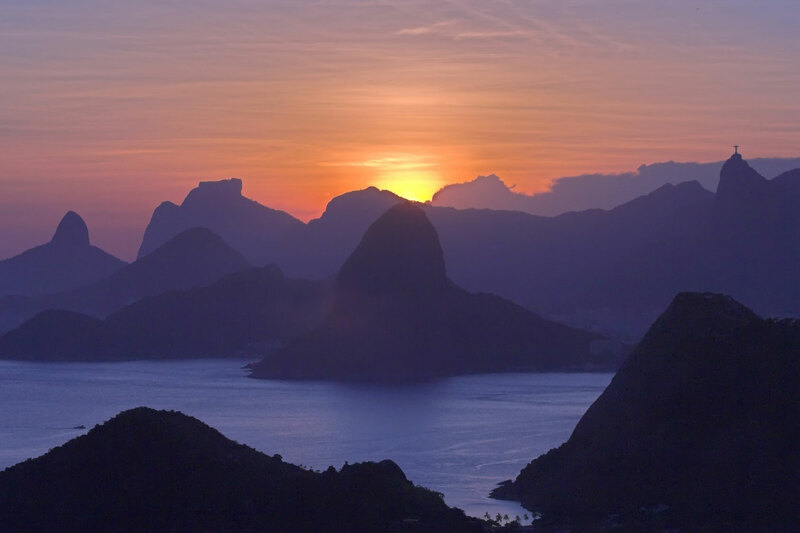 Rio’s hills are the site of the city’s two most unforgettable sightseeing experiences. 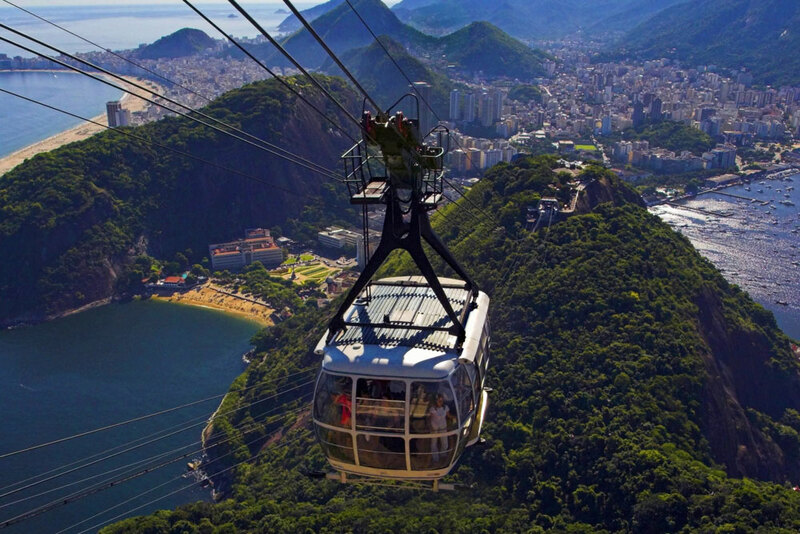 Ride the cable car to the top of Sugarloaf Mountain for a panoramic view of Rio. Or, for an even more all-encompassing view, ride the train to Corcovado, the hilltop where a giant statue of Christ the Redeemer has welcomed visitors for nearly a century. But Rio has plenty of attractions at ground level too; watch a soccer game at Maracanã; dance at a samba school rehearsal; or simply stroll down the promenade in Ipanema or Copacabana and drink in the famous carioca energy and spirit. Rio is Energy! Stay in a nice apartment in Arpoador or in a luxury penthouse in Ipanema or Copacabana and get more of the Carioca energy during your holidays. An undercurrent of throbbing, pulsing vitality runs through the city, like a ceaseless underground train. It is Carnival! 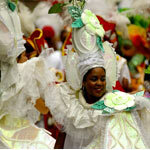 And not just the last feverish days before the penitence of Lent, but all 365 days of the year, as the Cariocas work on their costumes and music and dance routines, trying to outdo each other and top even the last year's zenith. It is that spirit of Carnival which permeates the life of the city, which bids you to don your mask, become your fantasy, and party away night and day. 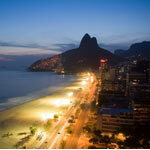 Apartments rentals in Rio de Janeiro is a service used by hundreds of people a month. There are numerous advantages of renting an apartment or penthouse in Rio de Janeiro. Book a luxury apartment in Rio de Janeiro with us and enjoy the most beautiful city in the world. 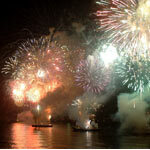 Thank you for choosing our services staying in our apartments in Rio de Janeiro. The short term apartment rentals in Rio de Janeiro won on popularity a lot during the last few years. There are options for accommodation in Rio for all kind of groups – offering budget accommodation, middle class apartments in Rio de Janeiro or even high luxury penthouses in Rio de Janeiro. Our company is specialized in renting luxury accommodation in Rio. Please use the links below to find your luxury penthouse in Ipanema or oceanfront apartments in the best areas of Rio de Janeiro. Here are some quick links to the best Rio apartments.